David Reeves is a passionate leader who leverages the best in people and technology to accelerate the global Bible translation movement. David has over 32 years of international leadership experience in both the non-profit and for-profit technology, translation and transportation sectors. Prior to joining Distant Shores Media, David served as president/CEO of JAARS, Inc., Vice President of Operations for Global South Services, and Director of Technology Advancement for Wycliffe Associates. In addition to leading multi-departmental, multicultural teams toward accomplishing God's purposes, David is gifted in building and training others, then empowering them for Kingdom impact. Founder and president of The 7 Marks Resource Group, providing resources and strategies for discipleship worldwide, and is creator of the Brave New Discipleship System. A graduate of Dallas Theological Seminary, he has taught on the college and seminary level, was an original team member with Walk Thru the Bible Ministries and is a veteran pastor. Max is the author of over twenty books including the bestselling 30 Days to Understanding the Bible (500,000 copies in print), and is creator and general editor of the thirty-two volume Holman Bible Commentary series. He with lives with his wife Margie in Indianapolis, IN. Max also serves as Senior Pastor at Geist Chapel Indianapolis, IN. Aaron Erickson has worked in the technology industry in numerous capacities, including sales, business development, social media, and marketing. 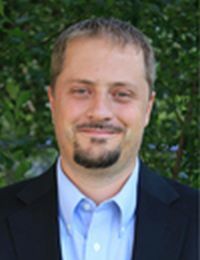 Aaron has also provided computer software training and business research for Christian radio stations in many parts of the world. A graduate in Global Studies from the University of Northwestern - St. Paul, he is currently pursuing a Masters of Biblical and Theological Studies from Dallas Theological Seminary. Ken Stoltzfus and his wife Elaine, from Kidron, OH, have supported Bible Translation since 1963. They served in pastoral ministry and invested several years in training church leaders in Kenya. Ken has been in commercial aviation most of his life as a pilot, flight instructor and entrepreneur in aircraft parts businesses. He is “retired,” but fully engaged in writing for John2031.com and in mentoring relationships. For nearly two decades, Michael Vos has worked to develop, empower, and equip leaders. Prior to joining BILD, Michael rose through the ranks of an industry-leading precision agriculture company. Throughout these years, Michael also applied his developmental skills to church leadership, chairing his church’s board of administration, preaching sermons, and teaching adult education courses. In his capacity as the Executive Vice President of BILD and the Antioch School, Michael is building a global network that identifies, trains, and equips leaders at every level, to impact their communities for the gospel. Michael also directs the development of leaders nationally and in the context of the CityChurch of Ames/Des Moines. Michael and his family reside in Des Moines, Iowa.